“Zvartnots” Yerevan International airport is one of the best in the South Caucasus. It was commissioned in 1980. Now “Zvartnots” annually receives over two million people, more than ten thousand aircrafts. 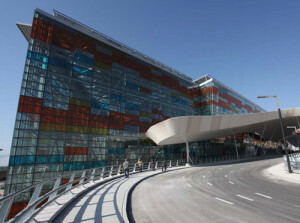 In 2001, the Government of Armenia signed an agreement with Argentine company “Corporacion America”, which completely renovated the building of the airport. Now “Zvartnots” is equipped with all the latest technical solutions and meets the most stringent international standards.It has comfortable lounges and arrival halls, numerous cafes and duty-free shops in which you will find goods you are interested in. Very often, newcomers face some lack of knowledge of the city. You can certainly use the services of taxi services, but negotiating with the taxi drivers often causes problems. In order to maintain the set bar of high standards, City Centre Hotel Yerevan gives everyone upscale shuttle service from the airport “Zvartnots” to the capital of Armenia. You no longer need to stand with heavy bags and wait until someone deigns to help you get to your destination. Our company will carry out a meeting at the airport and transfer to the hotel, and our drivers will help you with your luggage. level. We will also take care of your departure. Now guests of the capital will not have to think about how to get to the airport or how much time they will have to stand, waiting to call a taxi to arrive at your destination. Our company will provide all the needed services and we will do our best to ensure everything in time. For maximum comfort, it would be better to issue a transfer in advance so as not to be idle while waiting for the arrival of the driver. Our helpdesk is open seven days a week, twenty four hours a day. City Centre Hotel Yerevan will do everything to ensure that your visit to Armenia was comfortable from the first to the last second.